Today in 1958 a collapse and gas explosion killed 74 coal miners in a mine in Springhill Nova Scotia. 100 survived. 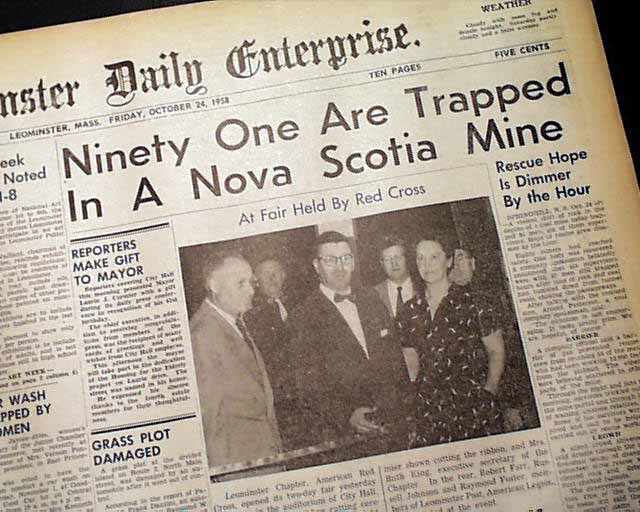 It was the third major mining disaster in Springhill to that point and today is still the worst Canadian mining disaster on record. from 1881 when the first mine opened, 424 miners lost their lives in Springhill. 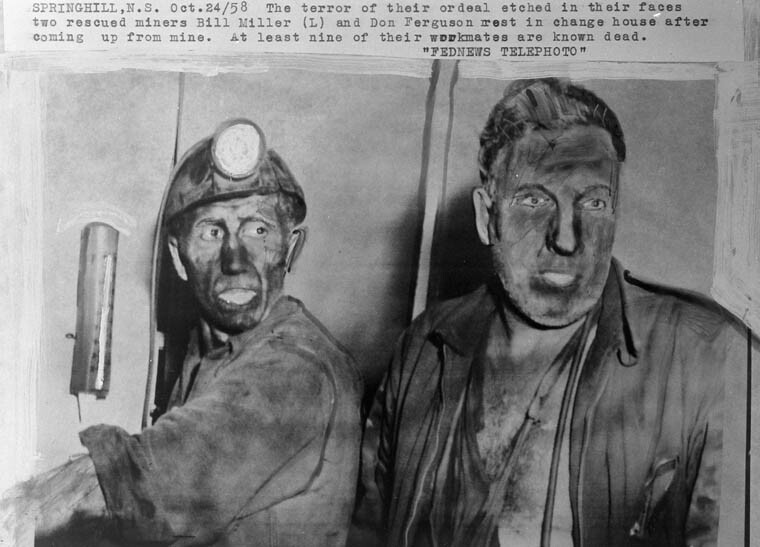 After the disaster the mines are closed for good.